The application deadline for this scholarship program is on 1st September 2017. 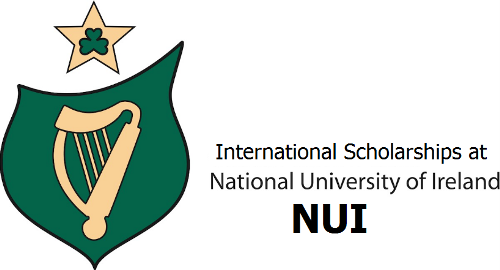 The National University of Ireland (NUI) is offering Merit scholarships to International students who want to study for an undergraduate degree program at the Institution. This scholarship program covers partial tuition fee waivers in the sum of €2,000 to €2,750 to first year fees only. – Applicants must already be in receipt of an offer of a place on an Undergraduate Programme from National University of Ireland, Galway. – Applicants must not be in receipt of any other scholarship program. – Original or certified copies of school transcripts/examination certificates (or forecast results if available). Where an applicant has not yet completed Secondary School (High School), the most recent transcript should be submitted. – SAT and/or ACT scorecard (US Applicants). The NUI Galway SAT code is 5878. The NUI Galway ACT code is 5351. – A Personal Statement (typed) of no more than 800 words outlining your academic interests, sporting and/or cultural interests and your reasons for wanting to study at NUI Galway. You may also include aspects of your academic career that are not necessarily reflected in your application. – Two Letters of Recommendation (in a sealed envelope), ideally from a teacher and/guidance counsellor or someone who knows you personally. – IELTS or TOEFL certificate, in the case of applicants whose first language is not English. Now that all the information about €2,750 International Scholarships at NUI, Ireland has been delivered nicely; talented students who are eager to pursue their Free Tuition/Scholarships/Study in Ireland can apply now.